JOHANNESBURG -- They are called the born-frees; black South Africans born after Nelson Mandela became the country's first democratically elected president after 27 years in jail. They were born free, after decades of racist rule, but for many of them Mandela's dream of a rainbow nation has been a bitter disappointment; 24 years into South Africa's democracy, more than half the population still lives in abject poverty. "It's a myth, and you know we are bearing the brunt of that because we grew up with this fallacy of this new South Africa," Johannesburg resident Jabu Simelane tells CBS News correspondent Debora Patta. "This place that is going to let us dream and be who we are, but now as young adults we are being blocked at every turn." Simelane's mother works as a cleaning lady in one of Johannesburg's most affluent suburbs. He grew up in one tiny room, but found a way out thanks to an extraordinary act of generosity; his mother's employer paid for him to get a decent education. Most people, he says, are not so lucky. "White people hold the power in South Africa. It's still white male-dominant. The economy is still run by white people," Simelane tells Patta. Simelane received a scholarship to study at the Umuzi Academy, which trains young people in the skills needed for high-value jobs. He and his friends know Umuzi will make a dramatic difference in their lives, but they say higher education should be a basic right, not down to luck. For most South Africans, university is unaffordable -- and many blame Nelson Mandela. "I don't think I'm angry," student Kgotso Selomah says. "I think I'm very disappointed. I think that's the feeling I feel; that they could have done more for me as a person every day." "They being Nelson Mandela?" Patta askes her. "Yes, Nelson Mandela, the ANC (African National Congress, Mandela's political party which remains in power), the people that got us our freedom. They could have done better for us." It's a growing South African narrative amongst young people that Mandela and his colleagues sold them out by only obtaining political, and not economic freedom. "What's the point of getting VIP access if you're not going to get the VIP benefits? It's like you're an honorary white person; 'come through, chill with us, but you're not going to do the same things that we do,'" Kate-Lynn Motlaung says. Fellow student Mesuli Lostile agrees: "It's like you are going to get into the party, but you're not going to take a picture with Beyoncé." 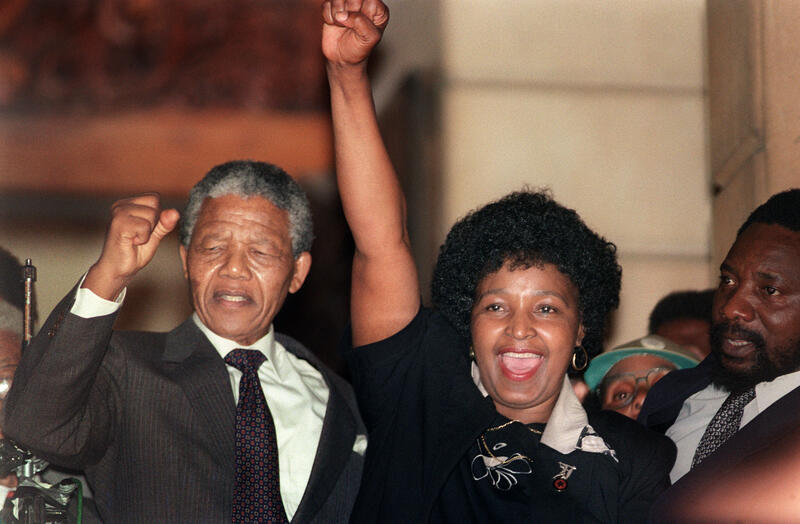 But for those who were close to Mandela, like Jay Naidoo, who was in his first cabinet, the fault lies not with Mandela but the leadership that followed him. "I think he would have understood the anger," Naidoo tells CBS News. "He would have understood the anger and accepted it. I think his disappointment is not in the young people. His disappointment is leadership." Naidoo says Mandela showed South Africa the way, but it is up to the country and its people to live up to his democratic values. "He would be aghast at the thought that we are venerating him, beatifying him. We are putting him in a museum and hanging up like the Mona Lisa," Naidoo says. "What we have to do is find the Mandela within us."